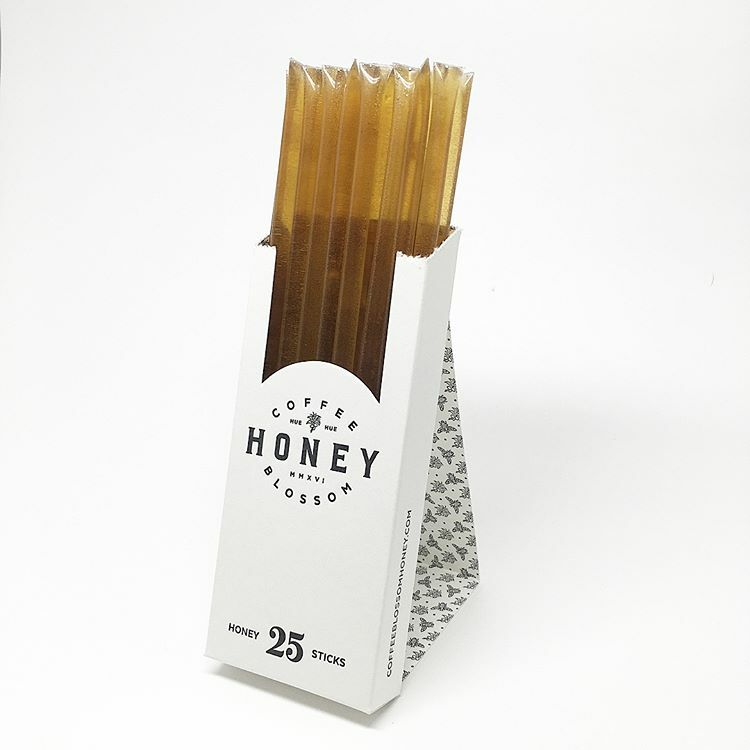 Retail/Display boxes for some of the best honey sticks around. We developed the concept, designed the custom dies, and produced them in-house. 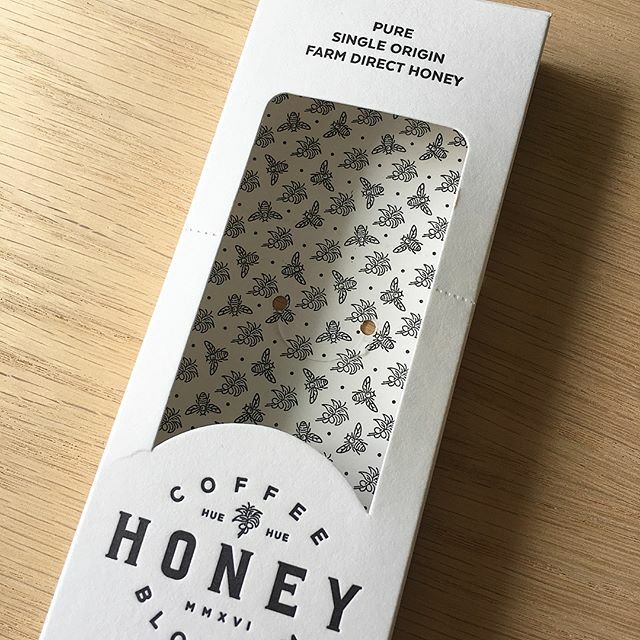 Deigned to sell by the box, or tear away the top for single stick sale display. 2-Color (1/1) on Duplexed 140# French Paper. Feast has a top-notch food truck and they brought us a design to match. These show-stoppers feature deep-impression for the tonal blind and post-printing duplexing. 3-Color (2/3 work & turn) on Duplexed 220# cotton for two employees. We helped Joe redesign his logo and created a custom photography package built around two metal camping mugs he gives to his clients. 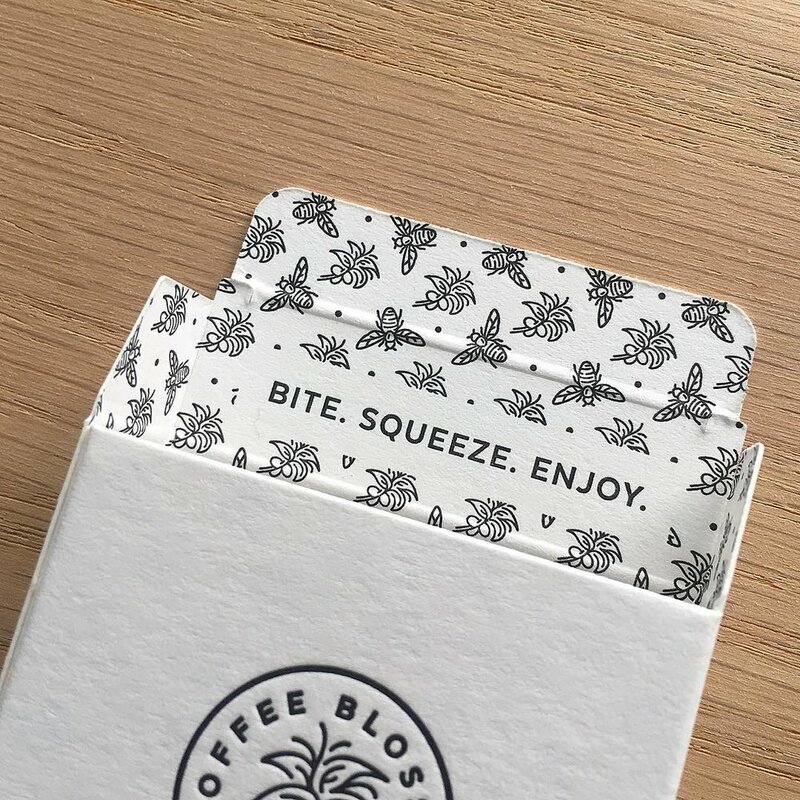 Starting with a liner to contain the mugs, we created a die-cut tray with a pressure pocket that holds a USB, an elastic band to hold a note card and prints, and a pull ribbon for easy access. 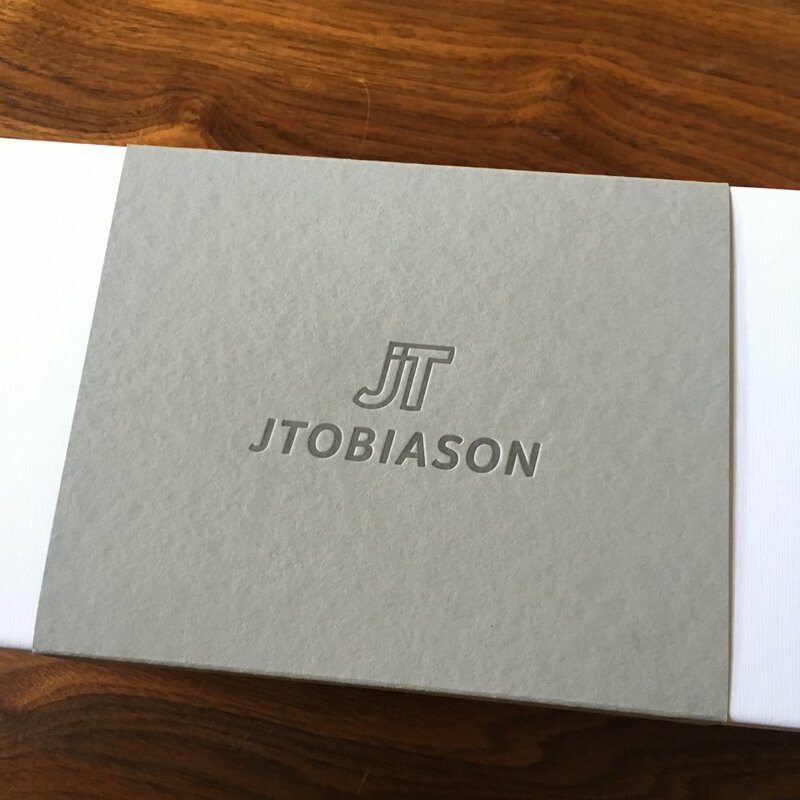 1-Color box band, tray card, note card, photo band & box liner on 110# Smoke Grey. The goal for the Haven Midwifery project was to create a friendly and modern identity that pays respect to one of the oldest professions while being accessible to the uninitiated. 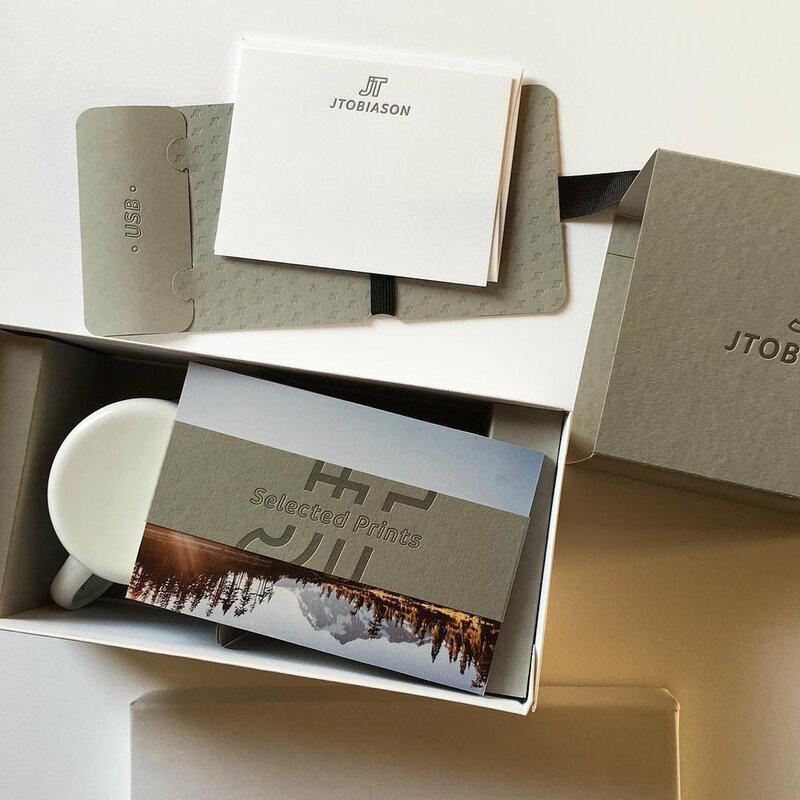 The project design scope included branding, copywriting, and website design, as well as letterpress printed business cards, stationary & birth certificates. Pictured: 3-color business cards on 220# duplexed cotton.